me extra sensitive about the whole thing? I am not sure. I just know that part of me was bothered by reading that whole aspect. Some of these not so great intentions all came down to technology. Questionable science experiments and then also technology surrounding the mandated phones everyone carried that kept all of their personnel information. The science experiment stuff I completely got but the phone nonsense was just that, kind of nonsense to me. These phones were a huge part of society and were monitored severely. All I kept thinking about was how many times I’ve lost my phone or my husband has broken his. lol We’d be screwed in this world. The technological advancements people were after just didn’t feel important enough for the lengths they were willing to go to get their way, like kidnapping innocent newborns. The pacing wasn’t always great for me either. There just wasn’t that wow factor driving me to pick the book up whenever I had a chance and I found myself constantly checking how far I was into it to see if I had made any progress. I enjoyed the story on a whole but getting there at times was a struggle. What I did like: The entire world building concept was fascinating! I loved the explanation of the Day/Night divide and how it related to the doctor and nurse shifts during the second wave of the Spanish Flu. The change in crowds at certain times helped lessen the spread and the system was made permanent for all. Unlike anything I’ve read before! Throughout Sol’s journey in the book, she finds help in unexpected places, like people who follow their own rules called the Noma. They are a tough crowd that are feared by most. They are like a gang of punks that give attitude, not smiles and will rob and beat you if you meet them in the wrong place. They added an interesting twist and one character in particular, Gigi, was one of my favorite characters. She was very complex and my heart hurt for her quite a few times throughout. She had a tough exterior but on the inside she was a hurt girl just trying to get by. I loved everything and anything to do with the romance. I loved how Sol met D’Arcy and how rough their relationship was in the beginning. I love how he risked so much on a whim to help her. I love how they ended up having a back story that made their connection even sweeter. I loved their protectiveness of each other. And I loved their chemistry that absolutely sizzled. Despite my issues with pacing and not finding that edge-of-your-seat feel, the details in the writing were beautiful in a lot of moments. There are a few scenes in particular where Sol and D’Arcy find themselves in a park admiring parts of the world that were so new to them due to the confines of their Day/Night statuses. The imagery was amazing and so well done. I can’t write a review for this book and not mention the cover. It is seriously beyond gorgeous! I could stare and stare at it. And it fits the storyline beautifully. Though I found aspects I liked and didn’t like, overall I enjoyed the story and would recommend it. I would love to check out more writing from this author in the future. Elizabeth Fama is the author of Plus One (FSG, 2014), Monstrous Beauty (FSG, 2012), a YALSA Best Fiction for Young Adults selection and Odyssey Award honor winner, and Overboard (Cricket Books, 2002), an ALA Best Books for Young Adults. 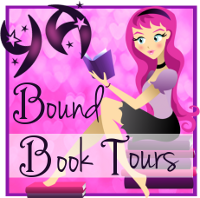 She is represented by Sara Crowe of Harvey Klinger, Inc.
Wow, this book sounds out of this world! (see what I did there?) Some super interesting concepts, like the different groups and the world building. Lovely in-depth review Sara! Hmm. I am not sure this one I would enjoy, especially because of the things you pointed out. I might give it a go though! Ooh, I’ve been eyeing this one for quite a bot, and yep, this does sounds like an interesting book with its Day/Night concept! But since it has a beautiful world building and all, I would definitely try it! I think pacing is crucial so that makes me a little nervous since slowness kills my reading pleasure. But everything you did like makes me want to clap like a seal, no lie. THAT CHEMISTRY. Gosh, I felt like fanning myself at that one little quote. I’ll definitely read this sometime, but now I’ll know what to prepare myself for thanks to your great (as always) review! 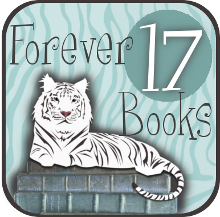 Nereyda @Mostly YA Book Obsessed recently posted…Movie Review & Faction Book Looks: Divergent! I guess it would be something that will affect you greatly because you’re about to have a newborn. But then again, mothers alike will probably have the same reaction. I think I’d love to give this one a go. I like the romance that you’ve mentioned. In all honesty i had stayed away from this one because i hadn’t heard so much about it but with the release date coming closer I keep reading reviews for this one everywhere. hmm now i’m trying to decide if i really should give this one a chance. I can see how the whole kidnapping thing might be offputting, i mean i’m a teeanger and i know i’m not awaiting a newborn like you are but i do have a younger sister i always worry about when it comes to that sort of stuff so i think i’d still feel a bit effy about it. Either way great review! i might just go check this one out! I’m a little worried about reading this because of the pacing issues, but I love your description of the romance, the chemistry, etc. And I do like the concept of this world, so I think I’ll end up reading this one. Thanks for the honest review! I felt the same way about the kidnapping (and congrats on upcoming baby!). I have a 4 year old son so thought I was sensitive because of that. It was such a large part of the story. I wish it could have centered on something else. But, like you I enjoyed so many other aspects of this book. Great review! 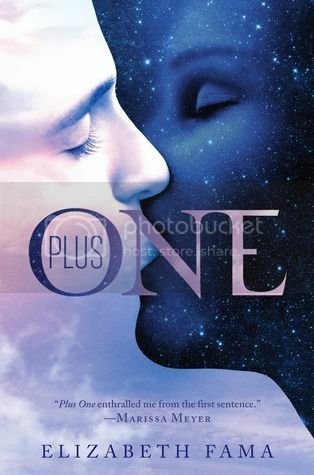 I’m looking forward to reading Plus One. I’m a little worried about the pacing but maybe I’ll be ok about it now that I have an idea of what’s coming. The romance at least sounds great, but the pacing and issues with execution makes me sad. I’m glad to hear you liked the worldbuilding and the romance. It’s a shame it wasn’t faster paced, but it sounds like an enjoyable read overall. Excited to check this out and see what I think! Lovely thoughtful review! I was kind of on the fence about whether to try this and have been waiting for reviews. I saw that another blogger (whose taste doesn’t always mesh with mine) complained about baby kidnapping thing part of the plot. Not sure how I feel about that and the fact that it’s a big part of the book. I don’t mind slow-paced books if the writing is good, and I know that Monstrous Beauty (this author’s prior book) was supposed to be beautifully written. So…. after reading your review, I’m putting this on my library request list and I’m going to give it a try! I keep hearing negative things about this book. But the summary sounds great. Glad you liked parts of it. For whatever reason — maybe because this is fiction and it FELT like fiction — the babynapping didn’t really bother me. I mean, when she stuffs the kid in her sweater and practically ignores it, yeah, I was a little annoyed, but she’s a kid herself pretty much. I think the rest of the novel more than made up for that aspect, at least for me. Glad you found it at least somewhat enjoyable! While you didn’t love this one I am glad you were able to enjoy it. I’ve been wanting to read this book for months because I absolutely loved Monstrous Beauty. It really does sound like a very promising read! I much like the beneficial facts people source on the reports. Let me take a note of your blog site look one more time listed here regularly. We are rather positive We’ll learn many innovative information correct below! Have fun for the!